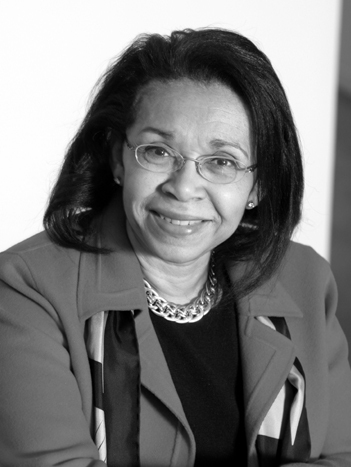 Shirley M. Malcom is head of the Directorate for Education and Human Resources Programs of the American Association for the Advancement of Science (AAAS). The directorate includes AAAS programs in education, activities for underrepresented groups, and public understanding of science and technology. Dr. Malcom received a bachelor's degree with distinction in zoology from the University of Washington; a master's degree in zoology from the University of California, Los Angeles; and a doctorate in ecology from Pennsylvania State University. After working as a high-school science teacher and college professor, Dr. Malcom joined the AAAS as a research assistant to survey science education programs for minority students. While there she helped to organize a conference that resulted in a landmark report, The Double Bind: The Price of Being a Minority Woman in Science (1976), which she co-authored. She has devoted much of her career since then to finding innovative ways to expand professional science opportunities for minorities and women. Dr. Malcom serves on several boards, including the Heinz Endowments and the National Math and Science Initiative, and is an honorary trustee of the American Museum of Natural History. In 2006 she was named as co-chair (with Leon Lederman) of the National Science Board Commission on 21st Century Education in STEM (science, technology, engineering, and math). She serves as a regent of Morgan State University and as a trustee of Caltech. In addition, she has chaired a number of national committees addressing education reform and access to scientific and technical education, careers and literacy. As co-chair of the Gender Advisory Board of the UN Commission on Science and Technology Development, Dr. Malcom promotes applications of science and technology to improve the lives of women and girls around the world. She is an active proponent of science and technology education and careers for girls and women everywhere. Dr. Malcom is a fellow of the AAAS and the American Academy of Arts and Sciences, a Public Welfare Medalist of the National Academy of Sciences, and a former trustee of the Carnegie Corporation of New York. She served on the National Science Board, the policymaking body of the National Science Foundation (1994-1998) and on the President's Committee of Advisors on Science and Technology (1994-2001). She holds 16 honorary degrees. In 2003 Dr. Malcom received the Public Welfare Medal, the highest award given by the National Academy of Sciences.